Beginning this issue, Clapboard House hopes to spotlight one author per issue. This author may be, like L. Annette Binder, an author that has previously published in Clapboard House, one that has aided us in our development or various contests over the years, or an author that just happens to want to speak with us. 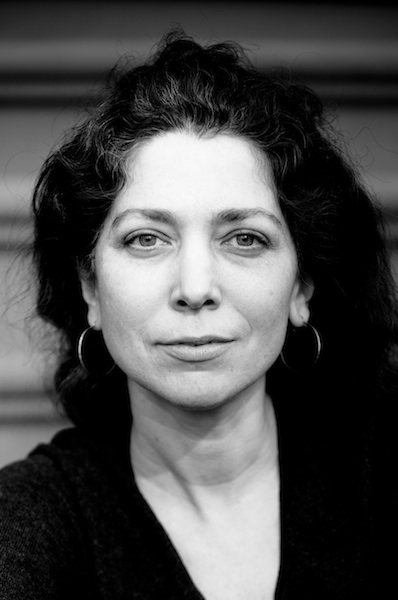 So without further adieu, we present author L. Annette Binder as our first Writer Spotlight. CH: We here at Clapboard House already know you’re a great writer, but could you tell us a little about yourself, where you’re from, what degrees you have and from where, and a little about your recent accomplishments for those new readers who may not? AB: I was born in Germany and grew up in Colorado Springs. My first book of stories, Rise, won the Mary McCarthy Award in Short Fiction and was published in 2012 by Sarabande Books. My fiction has appeared on Public Radio’s Selected Shorts, and in the Pushcart Prize anthology, the O. Henry Prize Stories, One Story, The Southern Review and elsewhere. I have degrees from Harvard, Harvard Law School, and Berkeley. I received my MFA in Fiction from the University of California, Irvine, in 2011. That’s way too many degrees, and I’m trying to stay away from school now. CH: I’ve recently read through your short story collection, Rise. Like Freda in Nephilim, that feels as if “Somebody…pulled her upward, stretching all the muscles around her sockets…She couldn’t call it pain…It was the pulling she felt in her bones,” so do we feel that same way reading through the collection. It delightfully plays with our sensibilities and often surprises through mysticism, mythology, and imagination. What roles do these things play in your construction of story? How do they inform your vision? AB: I’ve always loved myths and fairy tales and read them repeatedly in my childhood. My parents told me many of the dark, creepy stories from the Brothers Grimm when I was little, and though I don’t consciously think of them when I write, they’re always lurking the background. And it’s not just the strangeness of the stories, but how matter-of-factly they’re told. Something about that contrast between the subject matter and the tone really grabs me. CH: You’re able to convey such true and raw emotionality through concision and brevity, while still managing to mold characters that often feel realer than the pages they’re printed on. How do you manage to satisfy both criteria in conjunction within the short story, and how does the importance of characterization and portrayal play into the formulation of your work? AB: I’m pretty focused on the character from the get-go. I’ll often think about a character for weeks before I start to write. I’ll try to imagine the things they see, the things that make them angry or give them pleasure. Once I feel like I know the character, I can start writing and trust the character to guide me through the story. I have a general sense of where the story’s going, but sometimes it feels a little like Spider-Man swinging from building to building. CH: In Dead Languages you deal with loss and all the fear and denial that goes along with its uncertainty, while also exploring the space between our lives that’s un-seen, but somehow interconnected and influential even across vast temporal distances. That deeply poignant line, “Climbing up to catch his boy, who would always fall away” embodies that. Could you tell us a little about how Dead Languages came about and what its themes mean to you? AB: “Dead Languages” began with a sketch of a scene – the one in the grocery store where the son emerges for just a moment or two before slipping away again. I wrote the story (and now am working on the novel) to find out why this child is speaking in an ancient language and how his mother will try to get him back. The novel gives me a chance to find these things out, and writing it so far has been full of surprises. CH: You’re adapting Dead Languages, or at least its themes, into a novel, correct? How is that coming along and what challenges are you facing or have you faced in its adaptation, if any? AB: I’m about half way through a first draft of the novel. Some writers can finish ten or twenty pages a day when working on a first draft. I’m jealous of those writers. I often rework chapters multiple times before going on to the next one. I also can’t go on to the next sentence until I’m happy with the rhythm of the ones that come before, so I’m pretty slow. The biggest challenge in starting on the novel was finding a novelistic rhythm after writing so many short stories. I love white space and short elliptical beats and these things are finding their way into the novel, but in different ways. CH: Piggybacking off of that, what is your stance on first time or just-graduated writers jumping headlong into novel writing? Should they begin in the short story sphere and perfect their craft there, or do you think they should take that obligatory plunge into novelization immediately? AB: A hard question. My general sense is that folks should work on what speaks to them. Follow the characters and see where they lead and don’t worry about the form or genre (or publishing) too much. One of my stories (“Galatea”) started as a poem. It sat around for a year before I figured out what it was. I have a completed novel sitting in a drawer. It was the first fiction I ever wrote. I revised it eight or nine times and maybe it will always stay in that drawer, but I learned a lot writing it. It gave me what I needed to try writing short stories. No matter what I’m working on, I just tell myself to keep going, to write whenever I can and not to punish myself on days when the words come slowly or not at all. CH: You said that Clapboard House was the first publication to publish your fiction, a short story called “Walking the Reservoir at Night.” It deals with many of the same issues as your other works, yet does so with a different, but still engaging and gripping tonality and voice. How has your writing changed since penning it? AB: I wrote “Walking the Reservoir at Night” in 2008, which was the year I first started writing short stories. I’m not sure my prose rhythm has changed very much since then, but I’m much more open now to using white space and fragments. I’m also more open to bringing the supernatural into my stories. CH: Have you read anything lately that made you think differently about fiction, the short story, the novel, or made you excited about writing in general? AB: I love to read poetry, especially when I’m hard at work on a piece of fiction. There’s so much to learn from the poets, not just in terms of language but also what they choose to leave out. I admire Sarah Hannah’s work. Her poems “Alembic” and “For the Fog Horn When There Is No Fog” are remarkable. Another favorite poem is Joe Wilkins’ “Then I Packed You Up the Ridge Like a Brother on My Back." Just perfection. CH: What trends, if any, have you noticed in fiction and short stories recently and how important is it for short story and novel writers to follow those, or any, trends? AB: For better or worse, I’m pretty clueless about trends. The best advice I received about writing was probably from Michelle Latiolais, an amazing short story writer and mentor, who told me not to worry about publishing or trends or anything but the word on the page. I try to follow that advice every day. The same thing goes for criticism. It’s often better to shield yourself a little from what people say about your work. Praise can be even more dangerous than harsh criticism. CH: If you could speak to one writer, one who’s taken that big trip up yonder, who would he be, and what would you ask him? AB: Another tough one. 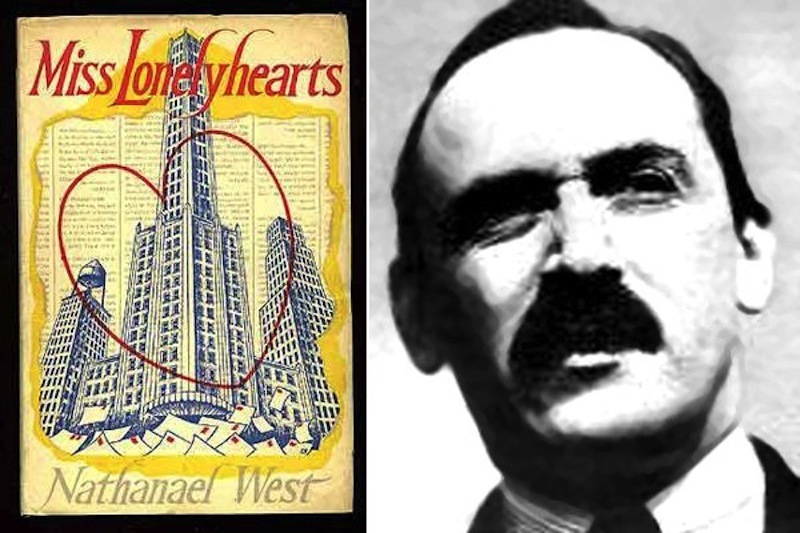 I’d love to ask Nathanael West how he felt after writing Miss Lonelyhearts. There are moments in that novella that I go back to again and again, trying to unpack what he did with POV and language. “He felt as though his heart were a bomb, a complicated bomb that would result in a simple explosion, wrecking the world without rocking it.” That’s so amazing. I’d want to ask him what he did after writing that. Did he celebrate? Did he dance around the house? Probably not, but he should have.